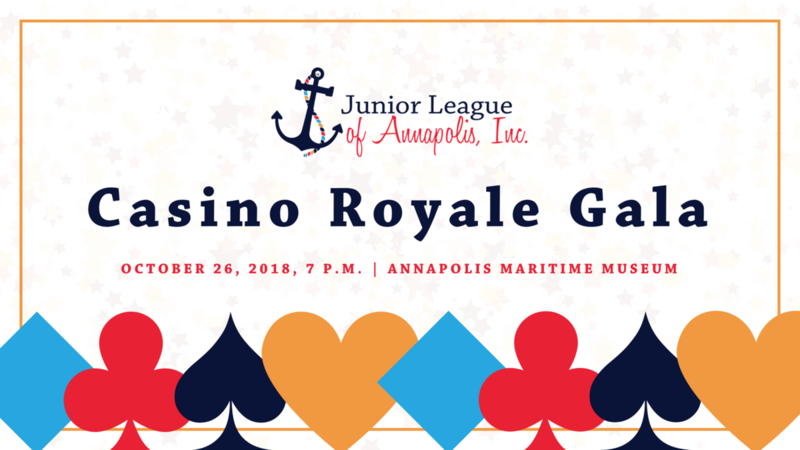 Open to the public, all proceeds from the Casino Royale Gala benefit the community programs of JLA and the organization’s training of its civic leaders, serving to improve the lives of women and children in Anne Arundel County. Guests attending this event can take a chance with Lady Luck while enjoying casino games, heavy hors d’oeuvres prepared by local Annapolis restaurants, open bar libations, dancing, and the thrill of a silent and live auction featuring top dollar prizes! Be ready to roll the dice, and double up to raise funds for the community!